How to configure WebSSO using SAML on Incenteev? Having a single sign on/SSO system reinforces the security, it simplifies the user access management and delights your team. If you have a user management system in your company, you can now allow users to connect directly with it. You confirm usernames and passwords with the company user database, or another application, instead of managing specific passwords for Incenteev. 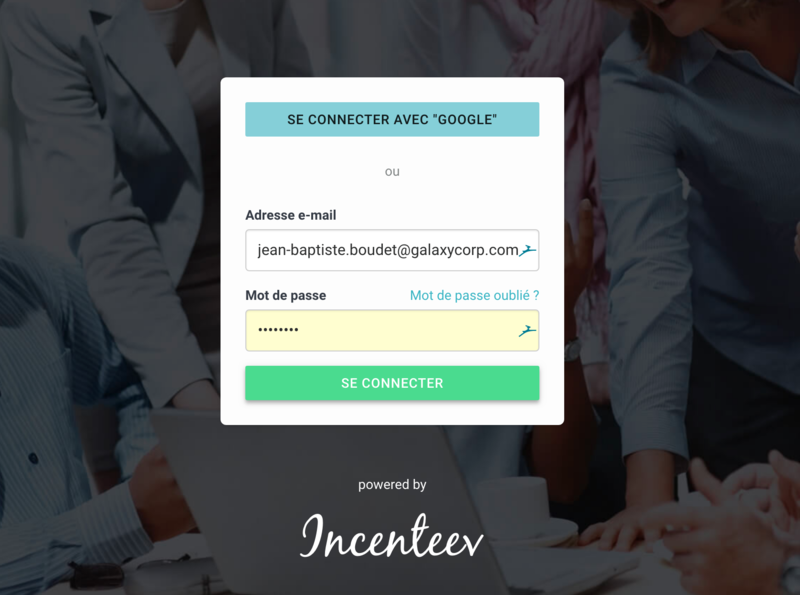 When the user is connected to your user management system, the user will automatically connect to the Incenteev platform. 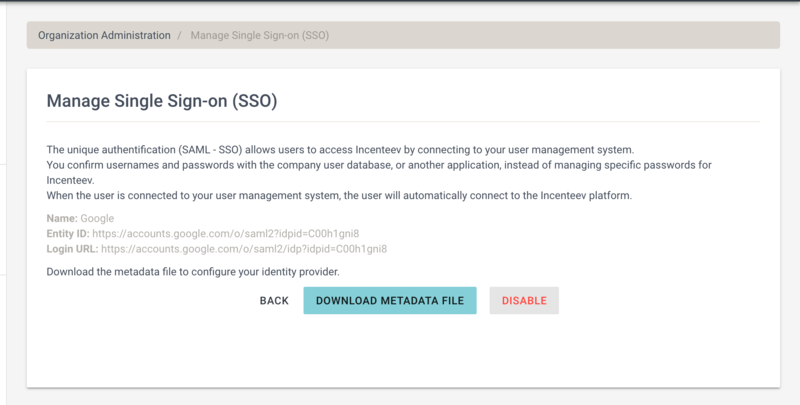 We use SAML Web Browser Single-Sign-On (SSO) which enables Incenteev to delegate user authentication to a customer SAML identity provider instead of a configured user registry. Read more on this concept. 1. 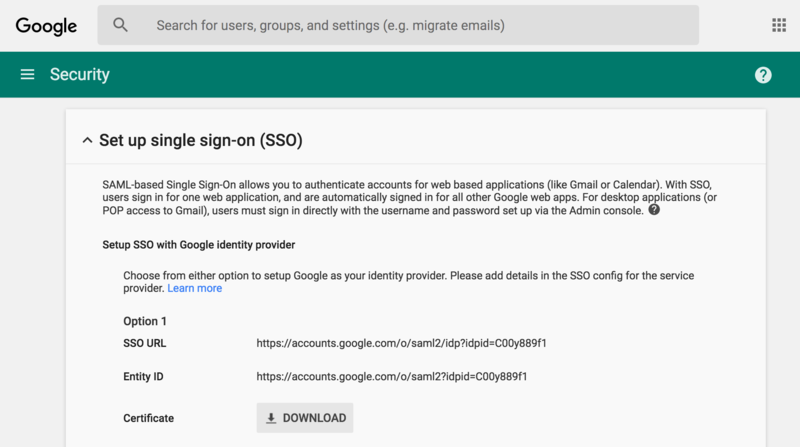 Set up single sign on/ SSO in your user management system and retrieve the information about SSO URL, Entity ID and certificate. 2. 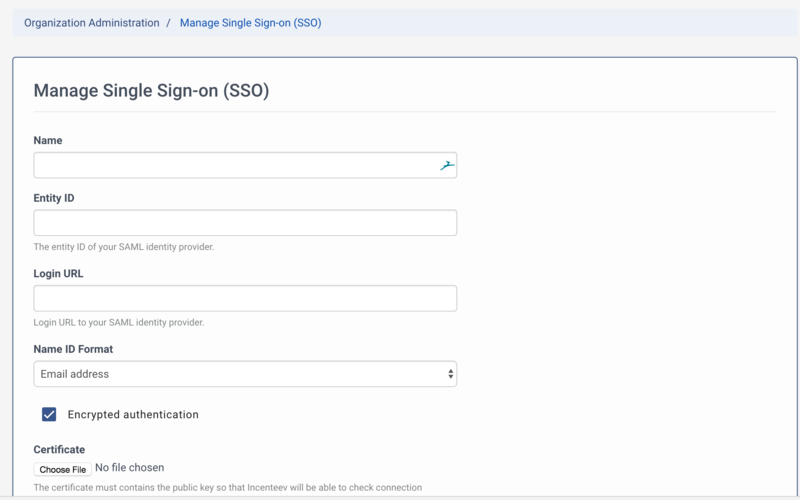 Go on Incenteev Platform in the Organisation Administration/ Manage Single Sign On (SSO) section and configure the single sign on for Incenteev by using the information form step 1. 3. Finalise it by downloading the metadata file generated by Incenteev and upload it in your identity/user management provider system. This will allow Incenteev to use single sign on/SSO. If you require assistance do not hesitate to contact us at support@incenteev.com !